Although it only ran for 13 episodes (yes really!) Galaxy High School is a huge cult favourite amongst 80s cartoon fans and we can totally see why! It told the story of Doyle Cleverlobe and Aimee Brightower, two teenagers from Earth who were the first earthlings to go to Galaxy High, an intergalactic learning institution usually reserved for space aliens! If you've still not got over the fact that it was cancelled after one season (sob!) 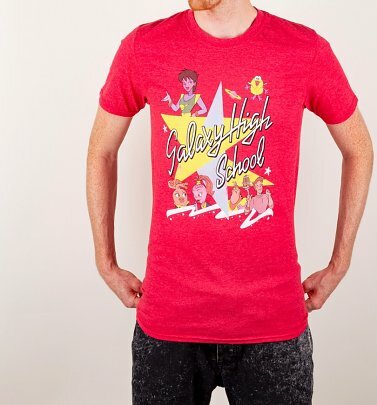 never fear, you can at least reminisce in style with our brilliant tees inspired by the goings on at Galaxy High. They're out of this world!